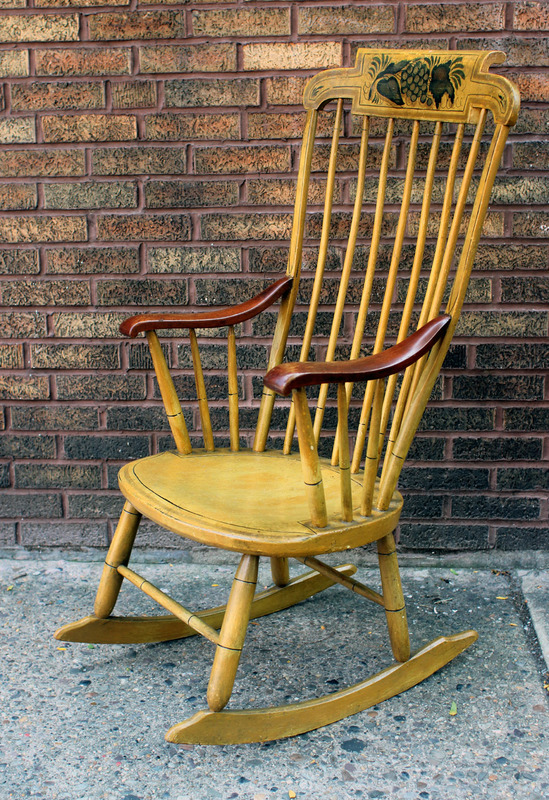 Handsome New England rocker in fine, original yellow paint and decoration and nicely worn mahogany arms. The paint decoration focuses on a handsome bunch of fat grapes, a more unusual subject than flowers, which were used more often. Nicely sturdy with a comfortable seat, American, circa 1840. All original.